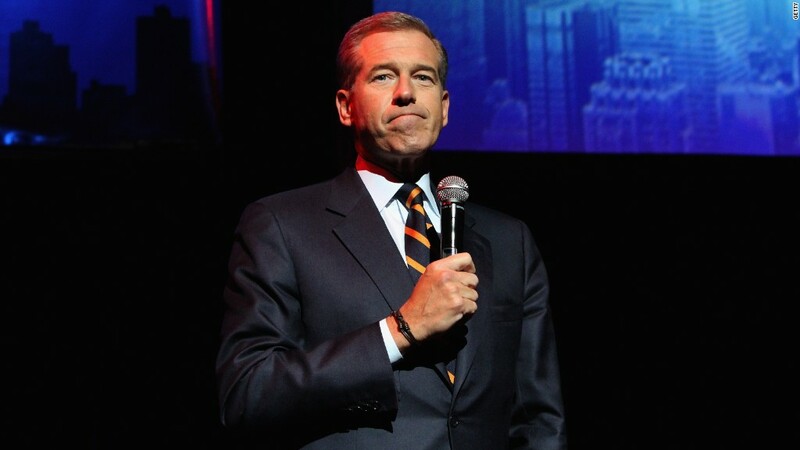 Brian Williams was suspended for six months without pay on Tuesday following revelations that he exaggerated tales from an Iraq War mission in 2003. NBC News president Deborah Turness informed staffers of the network's decision at a meeting shortly after Williams' fill-in, Lester Holt, finished anchoring the "NBC Nightly News." This has been a difficult time. But NBC News is bigger than this moment. You work so hard and dedicate yourselves each and every day to the important work of bringing trusted, credible news to our audience. Because of you, your loyalty, your dedication, NBC News is an organization we can -- and should -- all be proud of. We will get through this together. "This has been a painful period for all concerned and we appreciate your patience while we gathered the available facts. By his actions, Brian has jeopardized the trust millions of Americans place in NBC News. His actions are inexcusable and this suspension is severe and appropriate. Brian's life's work is delivering the news. I know Brian loves his country, NBC News and his colleagues. He deserves a second chance and we are rooting for him. Brian has shared his deep remorse with me and he is committed to winning back everyone's trust."